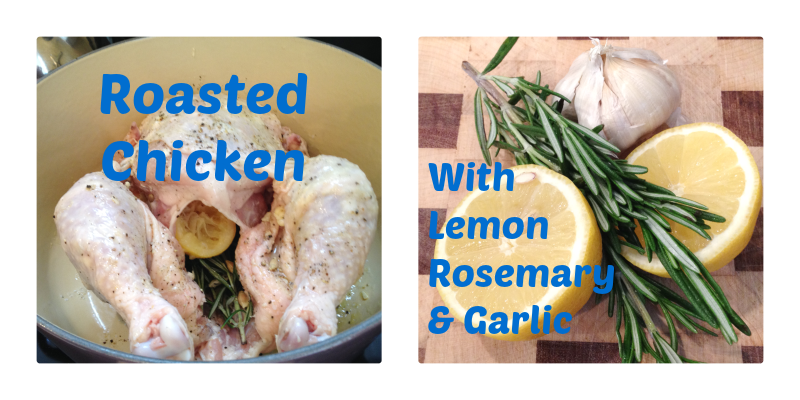 For my chicken I used rosemary (4 sprigs), lemon (1), olive oil, butter (2 tbsp) , salt and pepper and garlic (4 cloves). Wash the chicken and then pat dry with a paper towel, make sure to remove the little bag of giblets on the inside of the chicken before washing (discard unless you have other plans for them). I combined the butter, salt and pepper (about 1 tsp of each), and minced garlic together in a small bowl and then rubbed this under the skin of the chicken. I squeezed the lemon over the top of the chicken and placed the rosemary and remaining lemon (after squeezing out the juice) inside the bird. I placed the bird in the dutch oven and then drizzled approximately 1-2 tablespoons of olive oil over the bird and a little under the bird, and then salt and peppered the whole thing. Baked in the oven at 375 F or about 1 hour and 15 minutes, I used a thermometer to test when done. Temperature should be at least 165 F in the thickest parts, test breast and leg. I would recommend checking it at the hour mark. 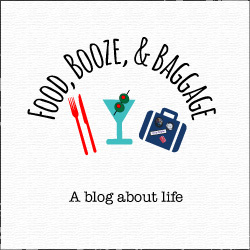 I FORGOT TO TAKE A FINAL PICTURE….I’m a bad blogger. I will have to make it again and be sure to get a final picture next time! I sliced the whole bird, and we had it with mashed potatoes Sunday. The leftover chicken was used on Monday in a spring salad; it was SO good. This will be something we will make again! The only other meal we had last week was Cowboy Dinner, it was ok but not something I’m likely to make again. P and I kept it easy this past week, because we hosted a party yesterday. We did a lot of cooking on Friday and Saturday and I will share what we cooked next week! Have you ever cooked a whole chicken? Any tips?